The London South East Divisional Youth Band (Jeremy Davis) and the South London Fellowship Band (SLFB) (Darrell Scholes) played to a large and appreciative congregation in their first ever concert together in Maidstone Citadel. The Youth Band marched into the hall to the Gullidge evergreen march South Australia played by their elder brethren and so commenced an evening not only of great entertainment but one which contained many moments of quiet reflection and rich blessing. The Youth Band’s contributions in the first half of the programme included a number of rhythmic up-tempo numbers which showcased the youthful exuberance, enthusiasm and vitality of the 50 plus ensemble. In particular, Phillip Sparkes’ arrangement of the jazz fusion composition Birdland (complete with a personalised video introduction from no less than Manhattan Transfer’s Cheryl Bentyne) and Andrew Mackereth’s Amazing Race set the feet tapping. Whilst this up- beat music clearly falls comfortably and easily into the Youth Band’s territory and repertoire, the selection The Power of the Cross showed the Band to be equally at home in sensitive and contemplative music and mature beyond its years. Providing a contrast to the brass, Jarred Littlewood from Winton Corps both entertained and challenged with his first set of two pieces, Tonight from West Side Story and Bring Him Home from Les Miserables. The latter presents particular challenges to tenor soloists, not least to capture the mood and inherent spirituality of the song outside of the musical’s setting, but Jarred rose to the occasion and delighted the congregation with his interpretation. Jarred was accompanied throughout the evening by Lisa Davis on the piano whose sensitive and sympathetic playing was another of the evening’s highlights. The SLFB then presented three items. 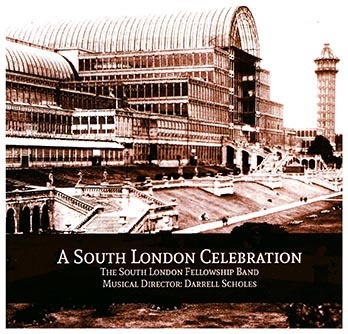 First, Peter Graham’s evocative A London Celebration which, after negotiating a barge on a foggy Thames, proceeds to skilfully interweave a number of well-known songs associated with the capital. SLFB clearly were at home in this number and mention must be made of the playing of SLFB’s principal horn, Roger Gadsden as he soared heavenwards in A Nightingale Sang in Berkeley Square. Ray Bowes’ band song Sound the Battle Cry followed, before Adrian Horwood in his inimitable manner provided another of the evenings special moments in his virtuoso rendition of Norman Bearcroft’s euphonium solo The Better World. One of the objectives of the evening was to raise funds for the Division’s music camps for disadvantaged children and Nicola Brooksbank, Divisional Youth Officer, presented a video highlighting this important work. The evening raised £500 which will be added to the £1500 recently contributed by SLFB from its carolling programme. Taking us up to the interval, the Youth Band gave a very satisfying performance of Bill Himes rarely heard To the Chief Musician. This is complex music which also requires vocal competence to deliver verses taken from the Psalms. Both conductor and Band are to be applauded for a brave choice which was completely vindicated on the evening! SLFB’s opener for the second half was Jim Wright’s fun number Fantasia for Children featuring a number of choruses associated with Sunday School. Many in the congregation were clearly familiar with the words, especially in Building up the Temple where the Boys won’t you help us/Girls won’t you help us responses overpowered the Band by a country mile! Jarred then changed the mood instantly with I’ll Walk with God from the Student Prince. Jarred described this as his favourite song and his heartfelt rendition was reflected in the appreciative silence that followed. Sit Down, You’re Rocking the Boat! from Guys and Dolls was Jarred’s final contribution, confirming not only a fine voice but a well-developed stage presence as well. Steven Ponsford’s selection Now I belong to Jesus received a thoughtful and sensitive performance from the SLFB, representing perhaps its best playing of the evening, before the Youth Band presented their final trio of contrasting items. Chicken Run is one of the highest grossing animated films ever and the high-octane musical score undoubtedly was a factor. It received a rousing rendition from the Band, as did the number that followed, Barry Gott’s Daniel. Displaying all the youthful vigour that is a feature of the Youth band’s playing, the original eight bar drum solo was extended in this performance by competent percussionists, one of whom managed to play the soprano part as well! Closing the set and effecting an instantaneous mood change, Darren Shaw’s Guardian of My Soul received soulful treatment by the Band in a musicianly mature performance. Roger Gadsden, Chaplain of SLFB, provided a thoughtful scripture message drawing on Psalm 145; ‘One generation commends your works to another.’ Roger referred to his own family’s long tradition in banding which extended over several generations and highlighted the musical legacy being passed between the generations of musicians represented in the two Bands. Roger’s words led naturally into SLFB’s final solo contribution of the evening, Steven Ponsford’s Music of a Legacy. During the concert, Jeremy Davis referred to the four objectives of the Youth Band as being to teach friendship, discipleship, leadership and musicianship and in a separate interlude, one of the youngest musicians, Fiona Pennington interviewed Brian Hillyer, at 87, the grandfather of the evening. To conclude a wonderful evening of fellowship and music, the two bands united in Washington Salute 125. As the strap line said, it certainly was a programme of music for all ages by musicians of all ages-ranging from 12 to 87. Special thanks go to Graham Kinsley for his accompanying video presentation which added value and meaning to the items.